While all previous sources reported that the new SpectroProofer – Although Fogra 51 and 52, ie M1 and M2 capable, can not measure ISOcoatedv2 or M0. EFI with Fiery XF 6.1 and the SpectroProofer ILS 30 support all measurement modes, ie Fogra 51 and 52 and ISOcoatedv2 simultaneously … unfortunately is neither Fiery XF 6.1. previously available nor the SpectroProofer … but according to EFI they are currently testing all 3 modes … M0, M1 and M2 with the new SpectroProofer … that sounds promising. The new standards Fogra Fogra 51 and 52 have long been prepared and discussed. Key points of the new standards as the general objective, paper classes etc. are known and beta versions of the profiles in circulation, but final profiles are not currently available. Software manufacturers like EFI and GMG are at present working on the implementation of the new requirements and solutions. 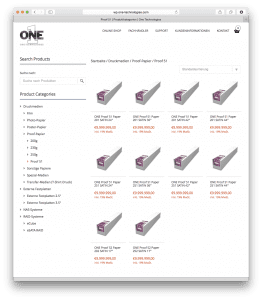 Also, we at Proof.de not yet know how and when we can carry out the conversion and how we will perform it. In terms of measurement we are with by an external X-Rite I1 Pro2 already able to measure the new standards and also have downloaded the beta profiles of the Fogra (FOGRA51beta M1 and M0 or FOGRA52beta M1 and M0) and are tracking the development. But due to the lack of M1 capable proofing papers, we are currently unable to take further steps. Once the new profiles, measurement techniques and papers will be available, we will continue testing on the new standards. 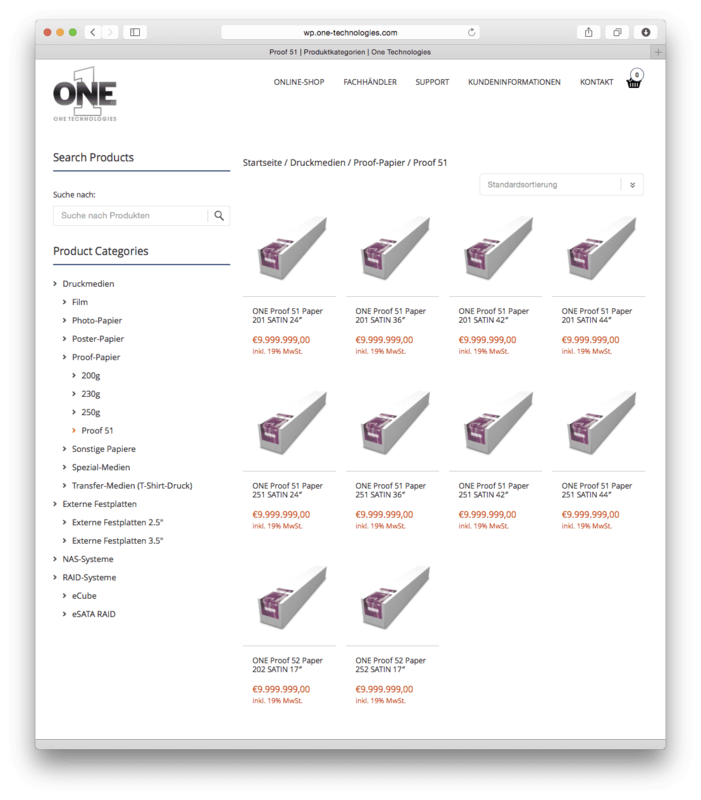 Mario Drechsler of highendmedia pointed out that BasicColor already sells the Certproof OBA 120 matt paper, a proof substrate thats suitable for the proof of uncoated papers with optical brighteners for M0 and M1. 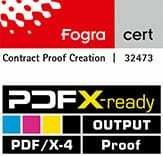 It has been certified under the Certification of Proofing system BasicColor PPS by Fogra. On my request for the availability of GMG papers I have not received any news of GMG. GMG has answered in the meantime my request, and I was able to pick up a role of its GMG Proof semimatte 250 OBA. And also for the ONE ProofPaper I have now found a shop selling the substrate. This entry was posted in Basics, Gamut and Color Profiles, Proof Knowhow, Proof Paper and Substrates, Proof Software and Technology, Prozessstandard Offsetdruck and tagged ECI, EFI, Epson, Epson Spectroproofer, Fiery XF 6.1, Fogra, Fogra 51, Fogra 52, Fogra51, Fogra52, GMG, GMG ProofPaper semimatte 250 OBA, ILS 30, ILS30, OBA, ONE Proof 51 Paper SATIN, ONE Technologies, Proof Paper, proof substrates, Proofsoftware, Spectroproofer ILS 30 by Matthias Betz. Bookmark the permalink.